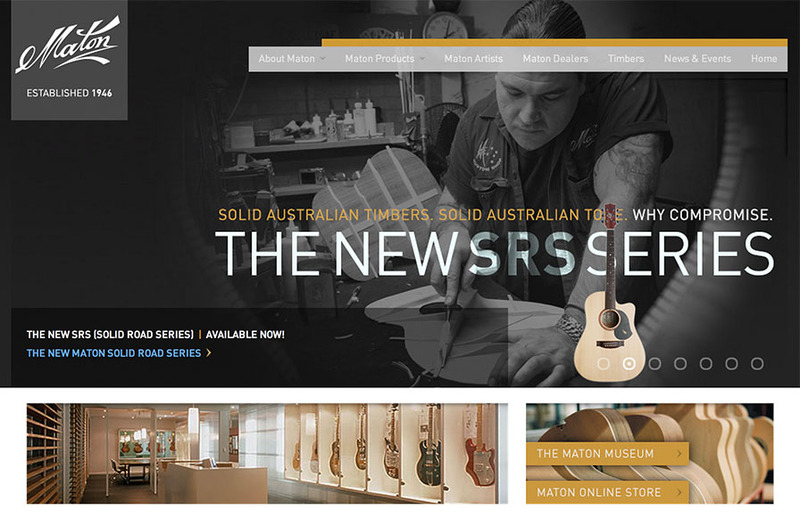 From a small backyard workshop started in 1946 Maton Guitars has grown into a truly great Australian success story. Currently Maton employs 60 people and remains 100 per cent family owned and operated. The Story Group designed and built the user interface to represent this iconic Australian brand. 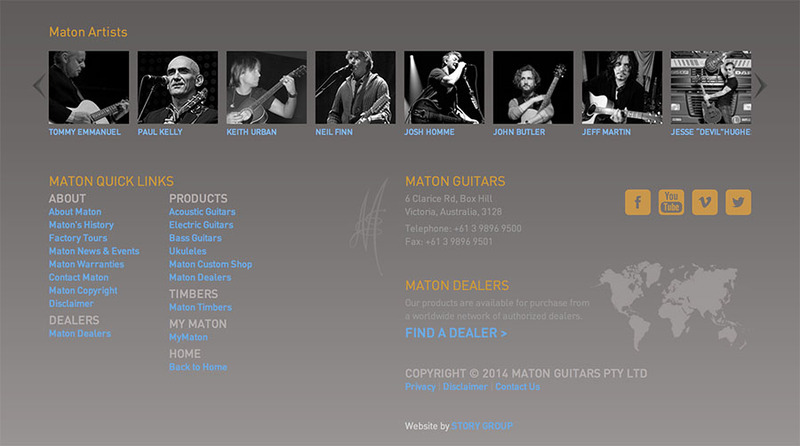 The Story Group built a powerful and easy to use content management system for Maton using the ExpressionEngine platform. Maton can add rich content such as videos and image galleries as well as manage product data and dealer information - all within an easy to use and intuitive backend interface. Story also built a warranty management system for Maton where users can submit and manage their warranty information - data is collected and collated in the backend to streamline the entire process. The Story Group continues to work with Maton and is currently building some new and exciting web properties to be launched later in 2014.